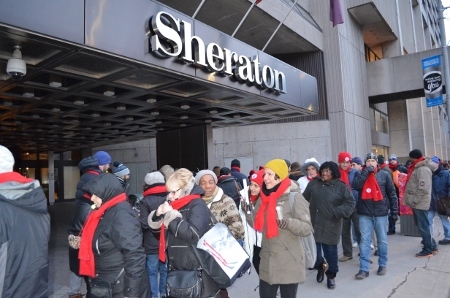 Thousands of hotel workers in dozens of cities around the world took part in the IUF Global Week of Action December 3-10 to highlight the abusive, unacceptable working conditions of housekeeping staff and to demand a safe, secure working environment from a global industry which rests on their efforts. 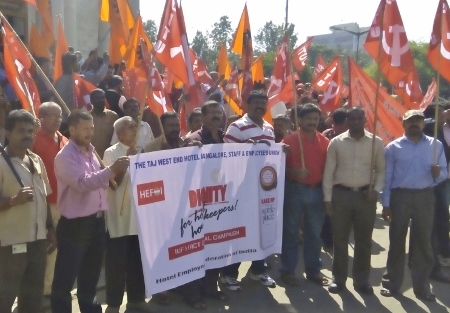 Hotel unions are determined to change the situation, and highlighted the urgent need for industry-wide change with a variety of actions over the course of the week, including workplace and public demonstrations, media events and educational activities. Housekeepers perform exhausting daily tasks for low pay and little or no employment security. The vast majority are women, often migrants. 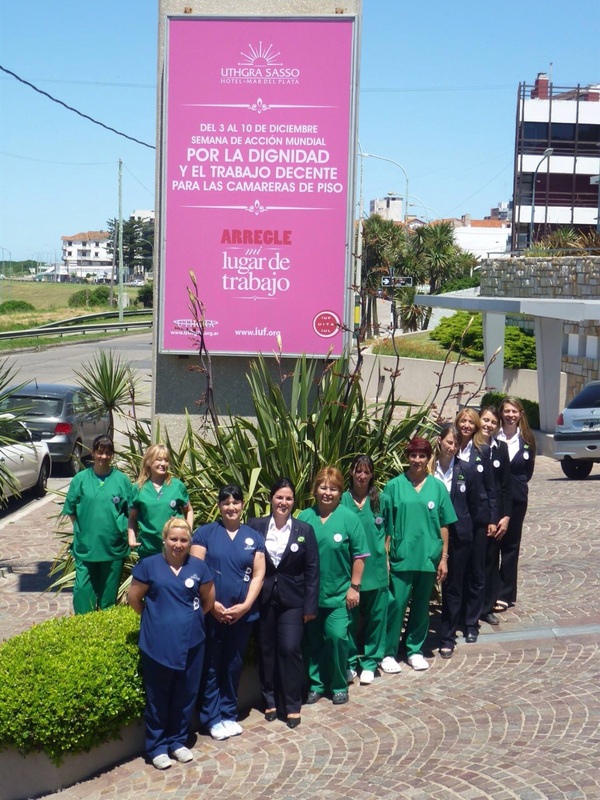 Their vulnerability exposes them to a multitude of health, safety and security risks: risks to their bodies from repetitive, heavy tasks, sexual abuse, exploitation by unscrupulous employers who often fiercely resist union organization, outsourcing schemes that shield employers from responsibility and further degrade working conditions and insufficient or totally lacking legal and social security. Few guests would imagine that housekeepers have one of the highest rates of work-related injuries and sickness of any occupational group. 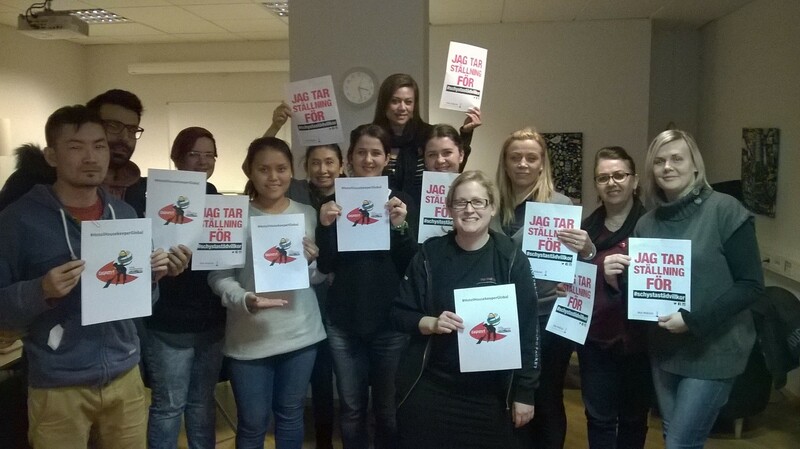 The IUF has convened an international press conference in Sao Paulo, Brazil on December 12th, where images from the week will be displayed and housekeepers will tell their stories of work and struggle. All pictures are available on Facebook and here.